8 figures per pack. 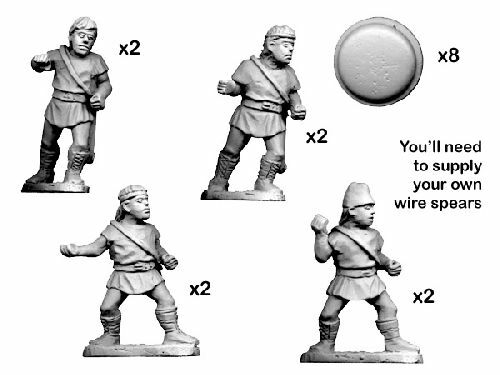 Figures are made of metal, 28mm sized and supplied unpainted. Figures not supplied with spears, look to pack NSS102 for the most suitable.